It’s all about the moment. When you step into The Pistolwhips world, the moment is all that matters. 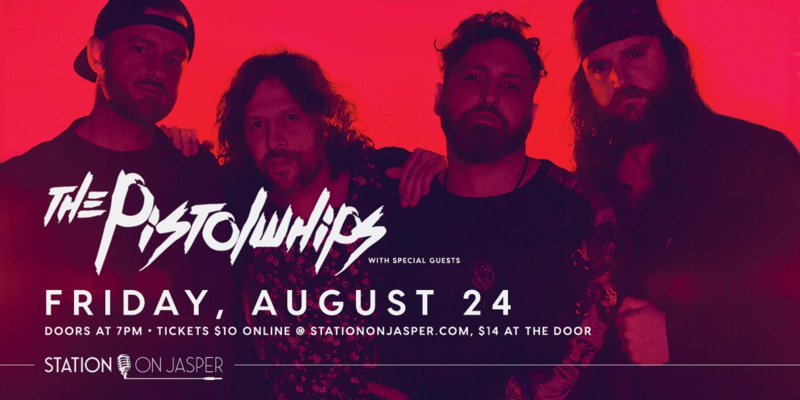 Hailing from Saskatoon, Saskatchewan, the band has worked tirelessly to bring listeners out of the daily grind and into a series of life changing moments. Blending an incredible mix of indie rock hooks, with monster rock choruses, this is a band that leaves it all on the table for you.With humble beginnings, the band quickly won Rawlco Radios 10k20 and set out to record their debut record, On Your Side. The album was released in 2014, and the band set out on a string of tour dates that included a trip to the UK, multiple cross Canada tours, and festival shows. All the hard work culminated in Planet S Magazine awarding The Pistolwhips with Album of The Year. Doors open at 7:00pm, but come in early for some Happy Hour specials.